With the recently introduced T-Roc R, the German car manufacturer has opened another chapter in Volkswagen’s performance division. 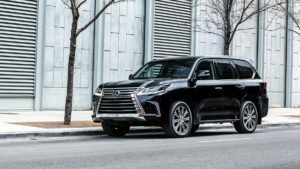 Now, the automaker started working on a new go-fast high-riding model and our photographers were at the right place to catch the powerful SUV while it was testing its abilities. 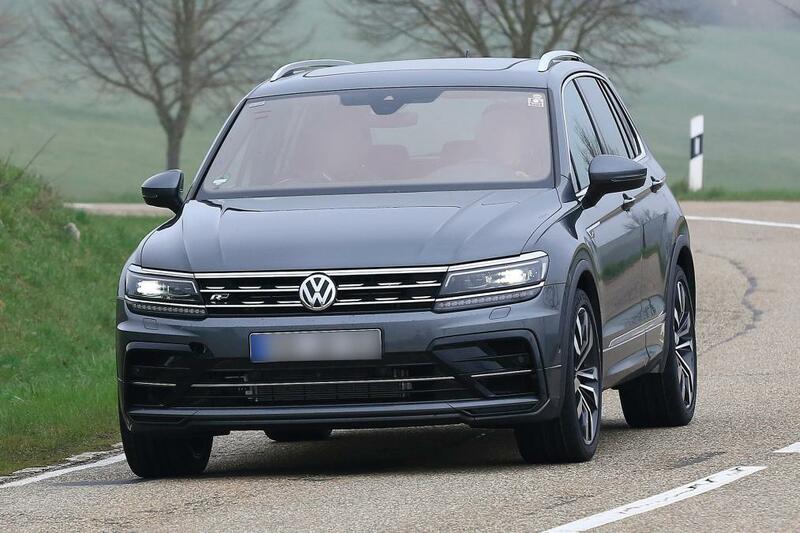 Even though it doesn’t look that way, the testing mule is actually the 2021 Volkswagen Tiguan R. We know this thanks to a giveaway in the back. 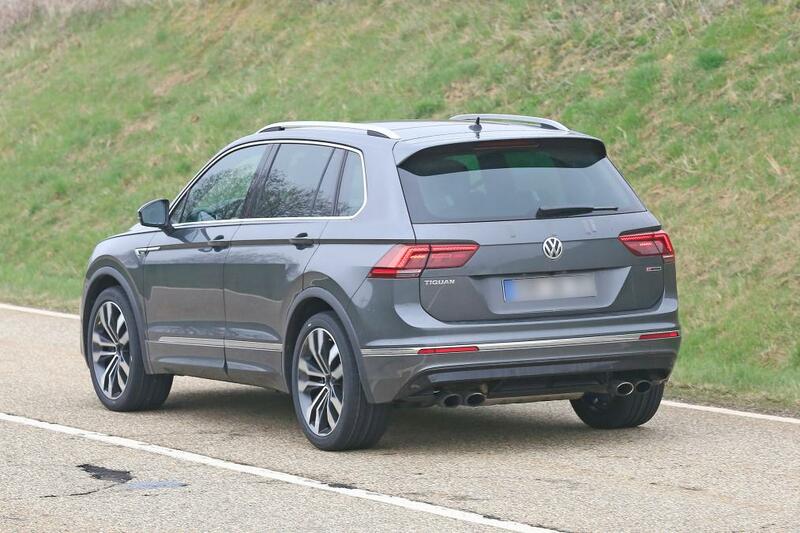 As you may see, the model sports a quad exhaust layout – the same one that has been available with the T-Roc R and the Golf R.
According to information we have, the sporty Tiguan should also get pretty much the same option under the hood. Meaning, the testing mule is exploiting a 2.0-liter turbocharged inline-4 capable of delivering at least 296 horsepower and 295 pound-feet of torque. We say “at least” because the crossover could easily get a lot more from that. Some unconfirmed reports suggest that the SUV may get a 330-horsepower unit under the hood. Either way, the output will be directed to all four wheels via a seven-speed dual clutch transmission. 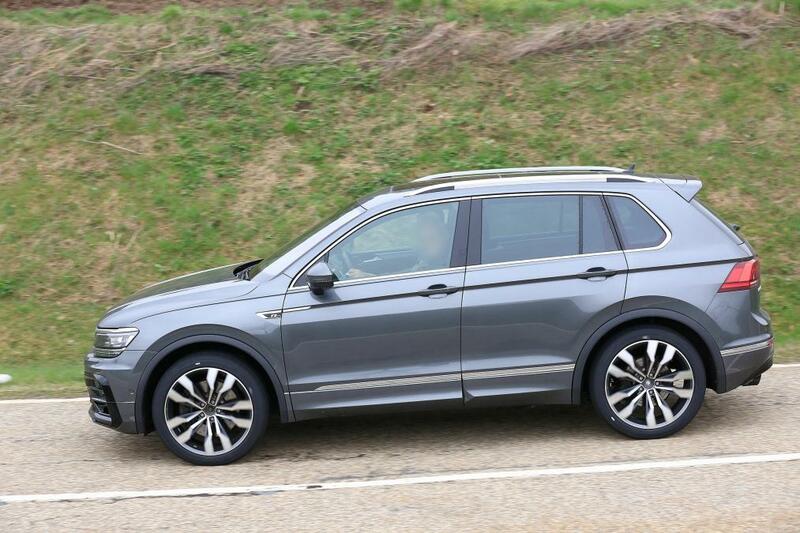 In addition to the impressive mill under the hood, the 2021 Tiguan R will sit on a lowered suspension. The SUV will also come fitted with larger wheels with beefier brakes, while we expect to see the more aggressive front and rear fascias as well. The high-performance small crossover SUV will arrive next year, which means that there will be more testing prototypes in the future, so stay tuned for updates.